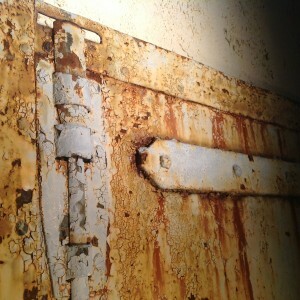 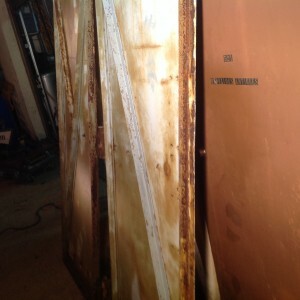 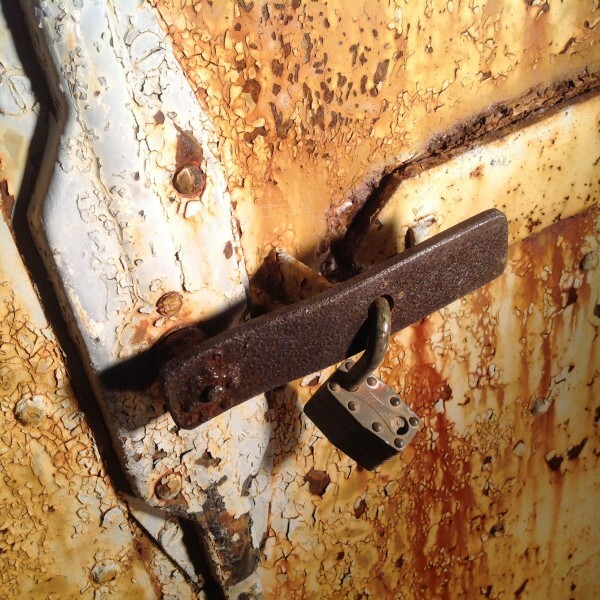 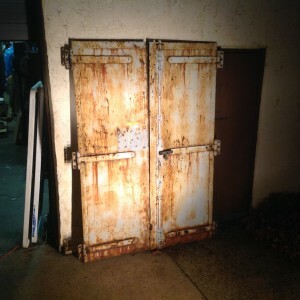 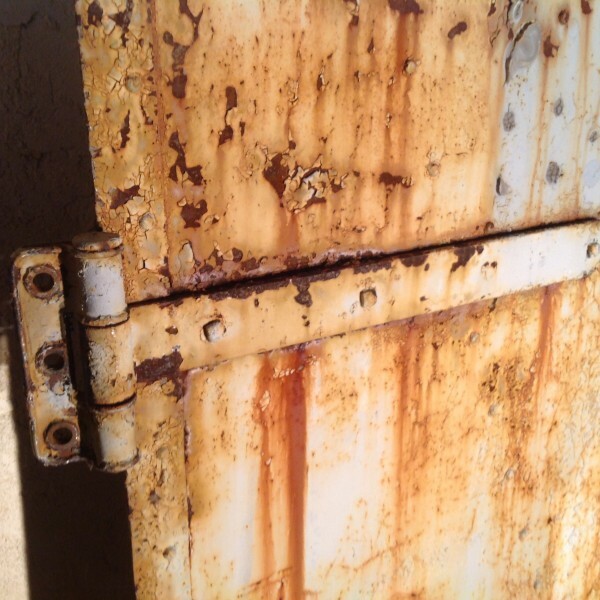 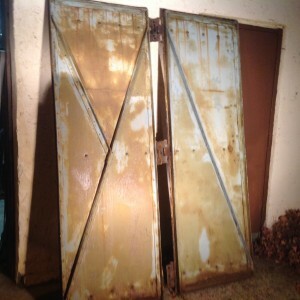 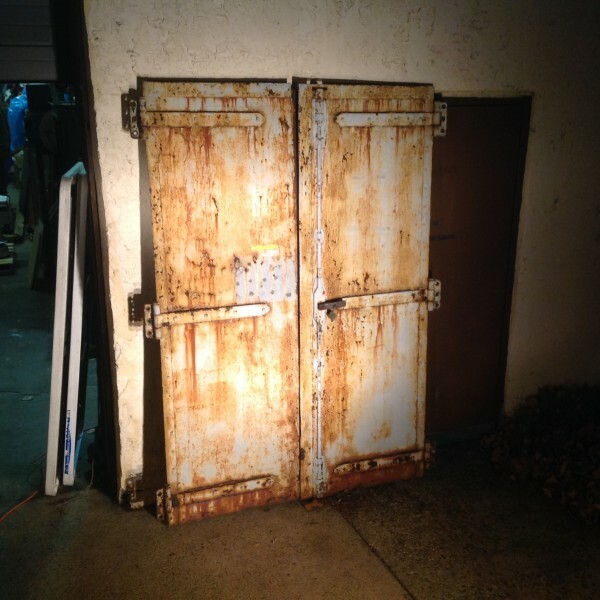 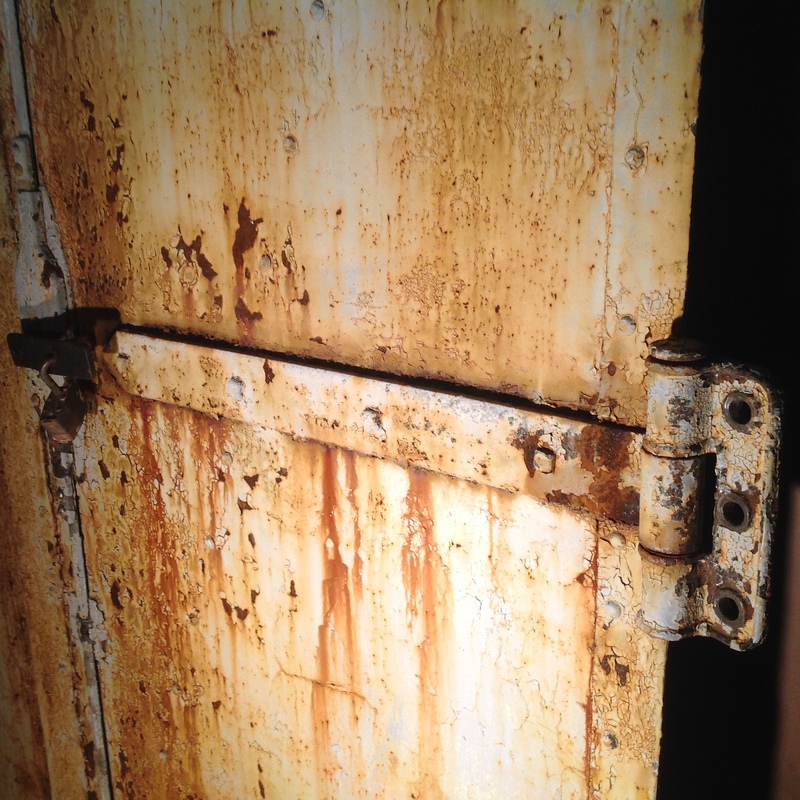 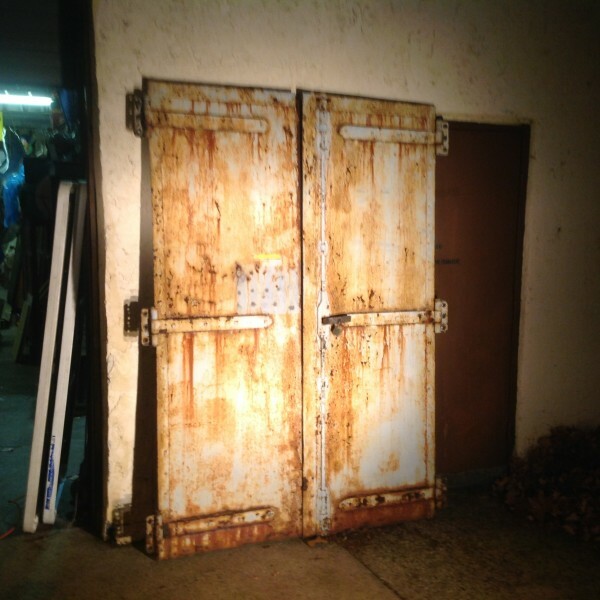 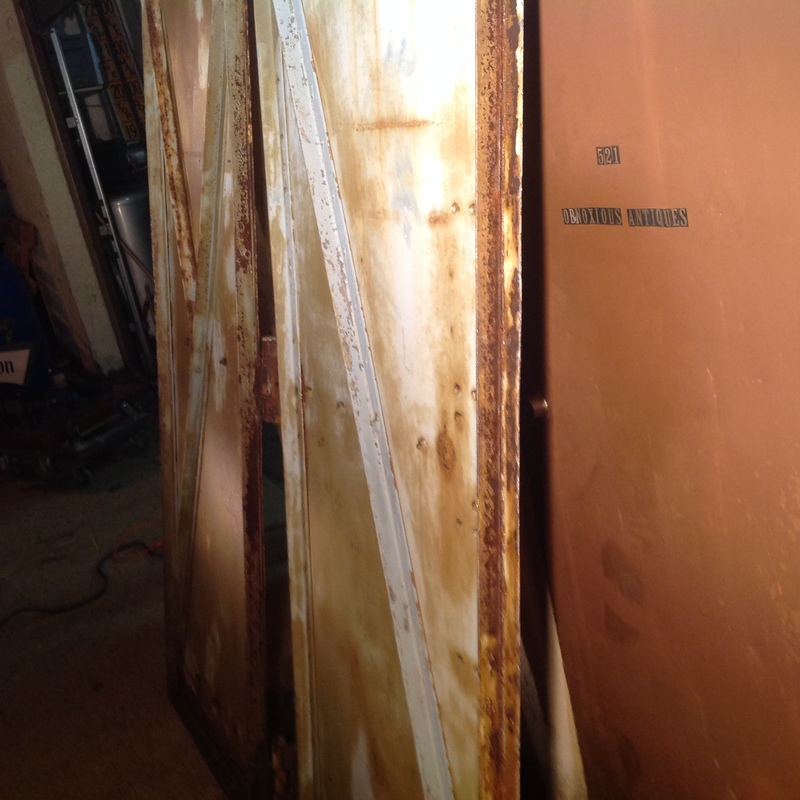 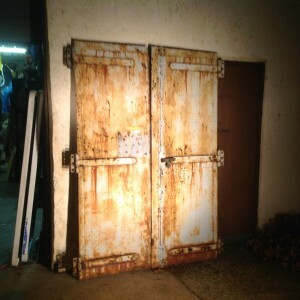 Antique architectural industrial steel factory doors in as found condition measuring 32″ wide x 90″ high. 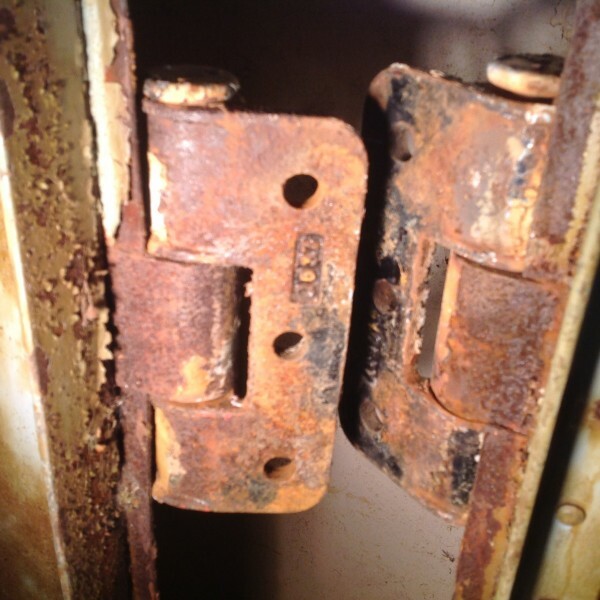 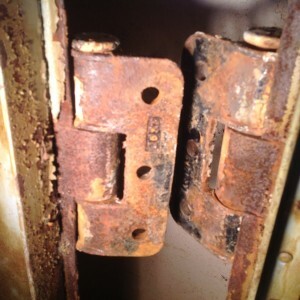 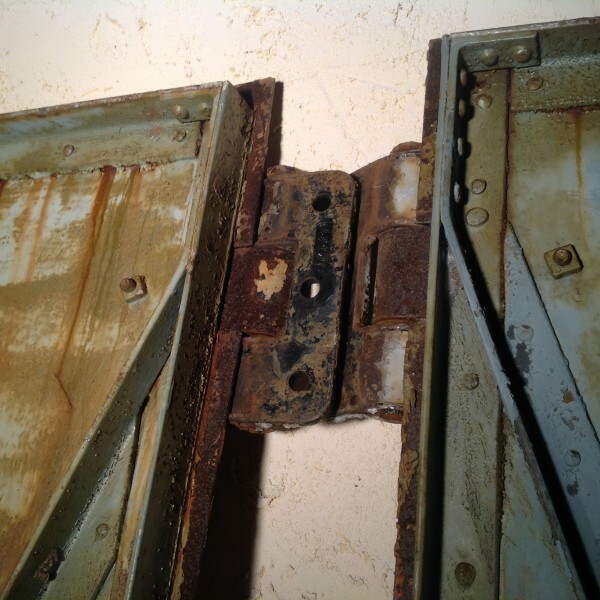 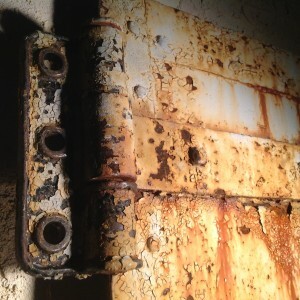 Heavy steel construction with very unusual industrial hinges. Will need restoration or just leave alone for that great architectural look………..